When I left London in March of 2014, I knew I was headed into something different – something outside my previous world of agency work. I didn’t know I’d love it as much as I have. The team at Simply Measured is one of the best I’ve ever worked with, which makes what I’m going to say next all that much harder. 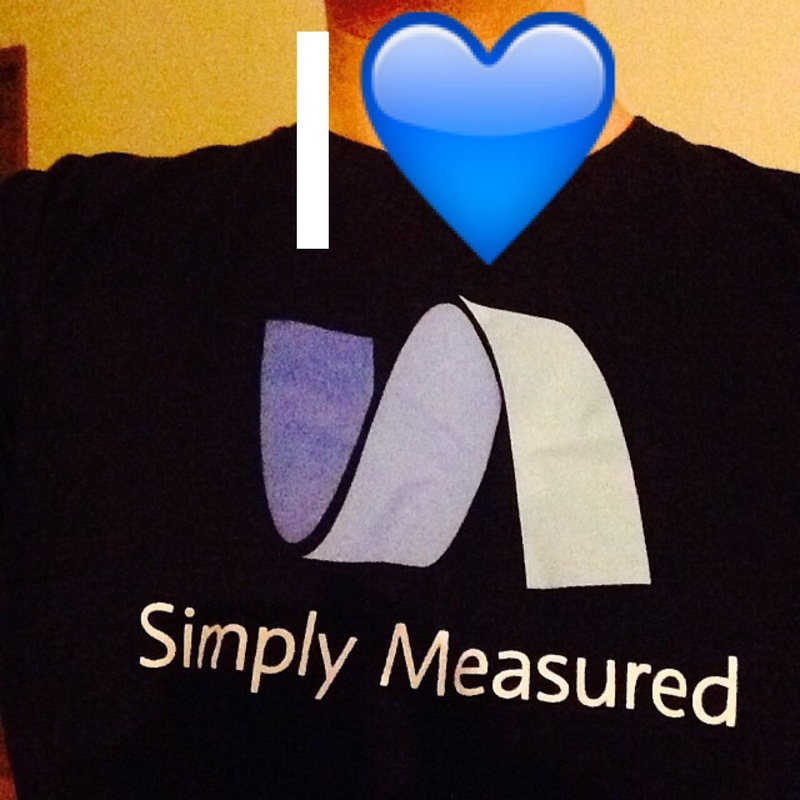 I’m leaving my role as the Director of Professional Services at Simply Measured, effective June 30, 2015. I came here, about a year ago, to help Simply Measured deliver custom reporting solutions and strategy for its top clients – brands like Microsoft, Chipotle, and Alaska Airlines. Having the chance to work with brands like that is something that I’ll never forget. Their teams and the teams at Simply Measured are pushing the idea and practice of social analytics forward in a time where marketing in the digital space is moving at breakneck speed. We, as a Professional Services team, were on the front lines a lot of times, building things that help take our core product and elevate it in the minds of our customers. We didn’t always have the easiest road, but we pushed forward (with the help of the extended team at Simply Measured) to create experiences for our customers that helped meet goals and bring value. The decision to leave Simply Measured hasn’t been an easy one for me. I loved the work so far. I love my coworkers (Seriously, Simply Measured is a great place to work and the people are hands down the most passionate team I’ve worked with. They have open roles. You should check them out). As I looked at where I am in my career and what I want to be doing a few years from now, it became obvious to me that I needed to get myself on that trajectory. I made my last decision to leave a job (and a country) when I took this role at Simply Measured to be closer to family here in Washington. I’m making this decision for myself – to set myself up for the next 10 years of my career and life. I’m still Simply Measured’s ‘#1 Fan’ – that’s not going to change. Their products are incredibly valuable and I’ll continue singing their praises after I walk out the door, just like I did before I ever walked in. I’m excited to see what’s next for the team as they continue to define the social analytics space and show enterprise brands what it means to take control of their data. I have complete faith in the leadership team to continue driving Simply Measured toward the greatness they’re bound for. I’ve even told the marketing team they can call me up for a guest spot on the podcast anytime. I can’t miss a chance to hang with Kevin and Lucy. I want to thank my colleagues here at Simply Measured for welcoming me and helping me grow, especially my manager Mari. Mari believed in me and helped grow the role of Professional Services from non-existent to a fully-fledged (but still scrappy as all hell) team. Kristin and Lauren, the two people I worked with most on the Account Services team, showed me what it meant to understand and be a voice for our customers, and along the way we became friends. Avenicio and Dylan (+David before), the longest running PS team members created great work for our customers day in and day out – often in the face of challenges. There are too many others to mention, but everyone I worked with here helped and challenged me along the way – something we should value in colleagues. On the home front, I’d like to thank my wife Camille for her support – always – through moves, job changes, and everything in between. She’s amazing in her unwavering support, even when I’m unsure of things myself. I’d also like to thank my past colleagues and sounding boards Clay, Kevin U., and Kevin D. for listening to me (and offering great advice). While I have a new adventure ahead of me, I wanted to focus on the team I’ll be leaving. More about what’s next coming soon. Until next time.